Being a teenager is no walk in the park. There's pressure at school and at home topped- off with extra-curricular activities, sports and various hobbies. It is a magical, albeit challenging time, and you will often look back on it as you grow older. Therefore, it should be the best time of your life. But imagine if all the wonderful memories you planned to make will be tainted with a ‘metal smile’ a.k.a. traditional braces? That definitely dampens the spirit, right? You probably feel like your life is about to fall apart. No teenager wants to walk around with metal brackets in their teeth. You will not be able to smile naturally and you know everyone will take notice. This is why Invisalign clear aligners is totally something for you to smile about. If you have overbite, under bite, crowded or crooked teeth, you may require teeth straightening. However, you do have a choice on what kind of treatment to get. Studies indicate parents underestimate how badly teens feel around their peers if they look even the slightest bit different from the norm. The change in looks caused by braces is definitely considered out of the norm. Invisalign treatment is a clear alternative for teens, and even adults, to correct their teeth and not feel uncomfortable about it. Once you've decided to choose Invisalign system in Dubai, with your parent’s consent of course, you need to get impressions made of your teeth. In your first consultation with your dentist in Dubai, photographs will be taken and sent to the lab for custom aligners to be created. It will take two weeks for Invisalign clear aligners to be made; in the meantime, you can wear plastic retainers. 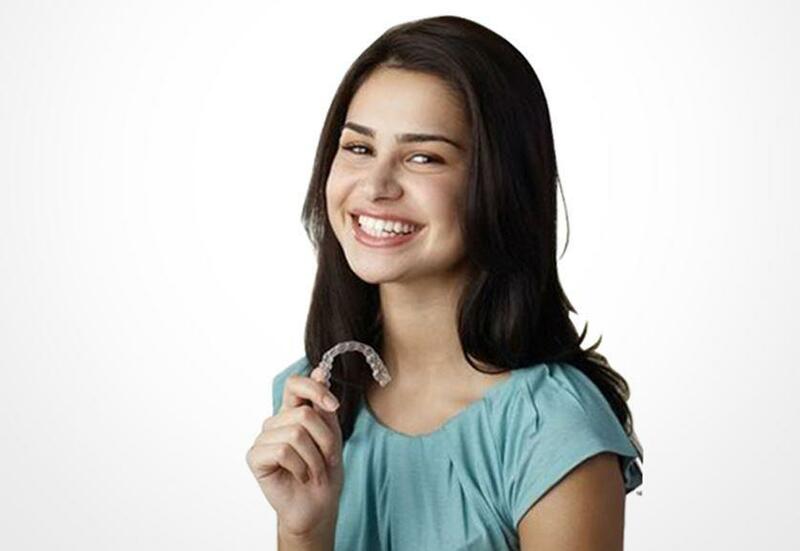 Invisalign clear aligners will be made the same way as the retainers. It is designed with your comfort and lifestyle in mind. Each set of aligner trays have a built-in sensor so your dentist knows if you are wearing them correctly. One of the main benefits of the aligners is that they are removable, though it poses the risk of loss or misplacement. Parents play a big role in the treatment as they need to ensure that you always have your aligners on hand. Like with any good thing, no pain, no gain. At first, using the aligners may feel uncomfortable. Keep at it and stay on track. Once every 2 months, you will be required to put in a new set of aligner trays. Dentists in Dubai recommend patients to wear it for up to 22 hours a day. However, with very minimal discomfort, you can go through your daily activities without any disruptions. When undergoing Invisalign treatment, you must always take time for brushing your teeth and rinsing your aligners. Remember that good oral hygiene is imperative to achieve the best results.